It all began with a man and a vision. Addison Mizner, the founding father of Boca Raton, envisioned a fantasyland where the rich and famous could escape. Since then, visitors around the globe have come to regard Boca Raton as one of the prime vacation destinations in the world, a place where palm trees sway in the breeze, vibrant hibiscus and honeybell oranges bloom, and the water is turquoise-clear. 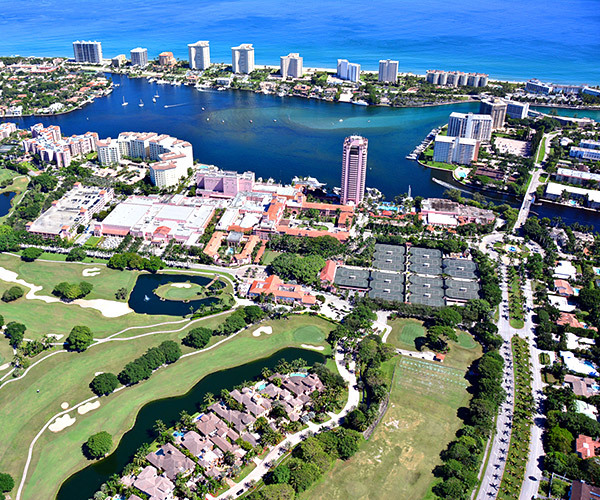 Boca Raton has stunning Atlantic beaches, beautiful landscapes and charming architectural designs. Whether you're a sports enthusiast or a spectator, Boca Raton offers a wide range of ways to have fun as you bask in the South Florida outdoor experience. From teeing off for a great game of golf, to in-line skating along A1A, to taking in a round of tennis or cheering on a Little League team, Boca has it all. Residents are proud of the city's efforts to preserve and continuously develop their streets, nature areas and beaches. Courtesy of Castles By The Beach, Inc.
FLRAPB is current as of 4/22/2019. FLMAOR is current as of 4/22/2019. FLRAGFL is current as of 4/22/2019.